In celebration of the Thanksgiving holiday, the offices of Rollins Financial and Rollins & Associates will be closed on Thursday, November 28th and Friday, November 29th. Our regular office hours will resume on Monday, December 2nd at 8:30 a.m. If you require immediate assistance during this time, please contact any of our staff via email - Joe Rollins at jrollins@rollinsfinancial.com, Robby Schultz at rschultz@rollinsfinancial.com, or Eddie Wilcox at ewilcox@rollinsfinancial.com. 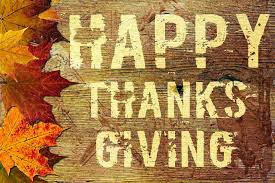 Be safe, have a wonderful Thanksgiving and please know we are very thankful for all of you! As I am positive that you must be tired of me constantly writing about economics and the stock market, I vow to write nothing of the two in today’s blog. You may rest assured though that we are watching the market closely as it continues to move higher. By any definition, this has been an extraordinary year but, as promised, I will not discuss that today. Last weekend, I attended what was to be your typical stock market seminar in New York, sponsored by a nationally known mutual fund company. Since I love New York but can only handle a few days there at a time, I thought I would make a quick trip up and back to attend this conference. One of my great loves has always been The Broadway Theatre. As a child, I was lucky enough to actually see Mary Martin in “South Pacific” on Broadway, and have been a huge fan of Broadway musicals ever since. I have seen so many and although most of them are just light-hearted entertainment, I have been lucky enough to see some of the great ones. For me, no trip to New York is complete without seeing at least one show. I arrived at LaGuardia Airport around 3:00 p.m. on Thursday and had just enough time to get to the hotel, unpack, and get to the theatre to see the newly debuted “Motown The Musical”. 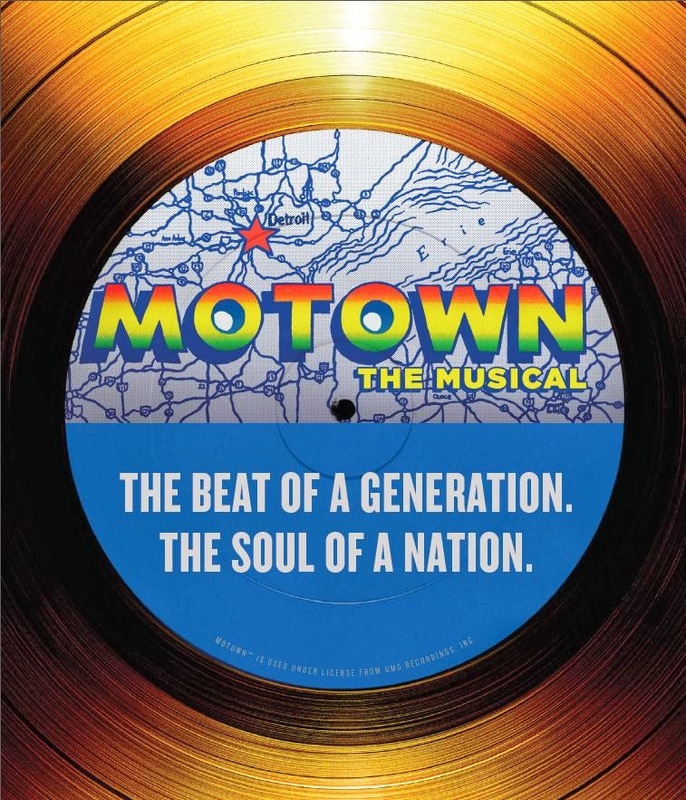 Going in, I really did not know much about this show but because I have loved Motown music since high school, I knew I had to see it. Buying a ticket from a scalper, I was fortunate enough to end up in the very first row and able to hear the singers perform without amplification. It was quite an amazing show and I highly recommend it. I cannot tell you how many memories this show brought back for me. To hear the music of The Temptations, The Four Tops, Smokey Robinson, Stevie Wonder and Marvin Gaye was quite a welcomed blast from the past. And to witness the house almost come down when Michael Jackson and The Jackson 5 sang along with the Supremes was quite a sight to see. While I found the script a tad weak and mostly uninspiring, the music alone made up for this lack of substance as I found myself singing and dancing in my seat in no time. Early the next morning, I attended the seminar, which incidentally was held in the Metropolitan Opera House in New York City. Anyone who knows me understands that attending an event such as this is the only way you’ll ever find me at the Met. 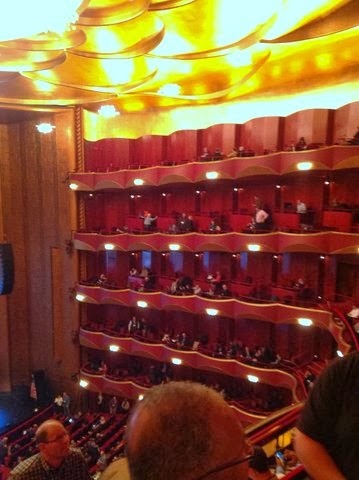 But as much as I do not like the opera, the significance of the venue was not lost on me. Even sitting in the 5th balcony was very special. As expected, the seminar was as interesting as can be when listening to presidents speak about their companies. After the morning break there was entertainment scheduled, although the performers were not revealed to us ahead of time. Believe it or not, over the next couple of hours I saw two incredible singers. 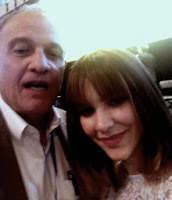 The first was Katharine McPhee, who you may know as a runner-up on American Idol who later went on to star in the TV series “Smash”. As I expected, she was quite extraordinary. Next up was Melissa Etheridge and her band. Melissa of course has had a number of hits and was quite entertaining as well. The biggest highlight for me though was getting to personally meet both of these talented performers. I can assure you from the hug I received that Katharine McPhee, who is about 5’8”, desperately needs to eat a cheeseburger. This seminar has always been known for its special late afternoon entertainment, and since Celine Dion and her full orchestra performed last year, I knew I would not be disappointed. And boy was I right! After a few more hours of discussing stocks and bonds, the surprise musical guest was finally revealed. Unbelievably, they paraded out Barbra Streisand and her entire orchestra. A few years ago, tickets to see her on tour were approximately $1,500 each, so to think I would ever see Barbra Streisand perform for FREE was a dream I never could have imagined. Although I may not agree with her politics and find her to be painfully outspoken, there are few, if any, performers that can match her talent. To actually see Barbra Streisand in the Metropolitan Opera House was an event that I will never forget – and did I mention it was free? After the event was over, I hustled back down to Broadway again in time to see “Jersey Boys” from the fourth row. 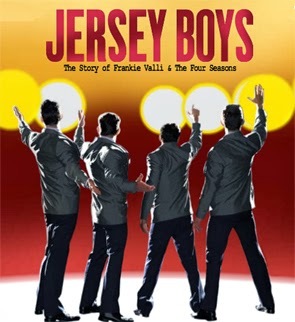 This was actually the tenth time I have seen “Jersey Boys” – four times in Las Vegas, three times in Atlanta, and now three times in New York. 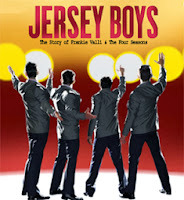 For those around my age, the music is just as good and relatable as “Motown the Musical” but the storyline in “Jersey Boys” is much, much better. And believe me, there is no bigger thrill than witnessing the actor playing Frankie Valli sing “Can’t Take My Eyes Off Of You”. Even though I had already seen the show nine times, I was again completely amazed by the cast, the characters, and the overwhelming talent. I have seen a lot of live performances over the years and in my opinion you won’t see any greater talent than on the Broadway stage, especially in New York. I was lucky enough to see the Phantom of the Opera when it first opened on Broadway in 1990 and I will never forget sitting in the audience when Michael Crawford and Sarah Brightman actually shook the theatre with their incredible voices. Although the theatres are small in New York, the floors uneven, the bathrooms inadequate, and virtually everything about the district old and decayed, the uniqueness of sitting in this 500 seat theatre should be experienced by all. You will never see such talent so up close and personal anywhere else in the world. As to not waste a single minute, I got up early on Saturday morning and was at the Metropolitan Museum of Art when it opened. I never tire of walking through the Impressionism collection at the Met Museum. 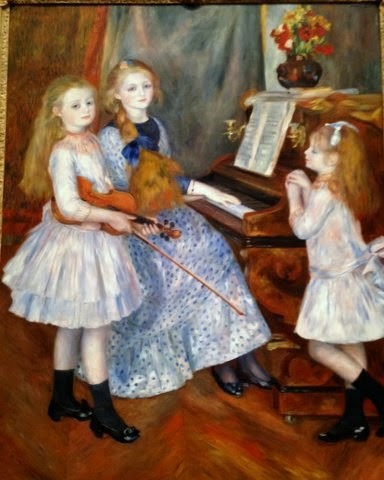 I am a big admirer of Renoir and am always amazed by how vibrant and beautiful the colors of these paintings still are after 125 years. I was also fortunate enough to check out some of the other great artists like Rembrandt and Van Gogh. However, to me, nothing compares to the revolutionary impact of the Impressionists. 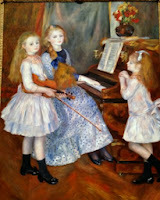 I often think to myself, why don’t we have any artists like Renoir or Monet today? Perhaps we do, and we’ll just have to wait 100 years to find out who they are. As I took a cab directly from the Metropolitan Museum of Art to LaGuardia for my 3:00 p.m. return flight, I realized I had been in New York for exactly 48 hours and not a minute was wasted during that brief but unbelievable time. Although culture and my name are rarely (actually never) used in the same sentence, this weekend was quite extraordinary, by any definition. While none of the above has anything to do with economics, the stock market, or even taxation, I just thought you may be interested in hearing of a weekend that would rival even that of the rich and the famous. While I do not fall into that category yet, it sure felt like it for 48 hours! Tax planning is necessary not only to help your family minimize or avoid these new tax increases, but also to ensure that your expected tax liability estimates for 2013 and beyond are correct. This letter will suggest some ways to avoid or minimize the adverse effects of these changes in 2013 and later years. Planning for these tax changes is a major undertaking so you should start the process as soon as possible. For tax years beginning January 1, 2013, the tax law imposes a 3.8% NIIT on certain net investment income of individuals, trusts and estates. For individuals, the amount subject to the tax is the lesser of (1) net investment income (NII) or (2) the excess of a taxpayer's modified adjusted gross income (MAGI) over an applicable threshold amount. Net investment income includes dividends, rents, interest, passive activity income, capital gains, annuity income and royalties. Specifically excluded from the definition of net investment income is self-employment income, income from an active trade or business, gain on the sale of an active interest in a partnership or S corporation and IRA or qualified plan distributions. MAGI is generally the amount you report on the last line of page 1, Form 1040. The following simple example will illustrate how the tax is calculated. Example: Al and Barb, married taxpayers filing jointly, have $300,000 of salary income and $100,000 of NII. The amount subject to the NIIT is the lesser of (1) NII ($100,000) or (2) the excess of their MAGI ($400,000) over their threshold amount of $250,000 for married taxpayers filing jointly ($400,000 -$250,000 = $150,000). Because NII is the smaller amount, it is the base on which the tax is calculated. Thus, the amount subject to the tax is $100,000 and the NIIT payable is $3,800 (.038 x $100,000). Fortunately, there are a number of effective strategies that can be used to reduce MAGI and/or NII and reduce the base on which the NIIT is paid. 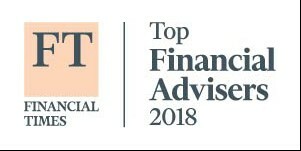 These include (1) Roth IRA conversions, (2) tax exempt bonds, (3) tax-deferred annuities, (4) life insurance, (5) rental real estate, (6) timing of estate and trust distributions, (7) charitable remainder trusts, (8) charitable lead trusts, (9) other types of trusts, (10) installment sales, (11) gain and loss harvesting, (12) intra-family loans, (13) oil and gas investments and (14) maximizing above-the-line deductions. We would be happy to explain how these strategies might save your family large amounts of NIIT. As a result of these recent tax increases, some taxpayers’ quarterly estimated tax liabilities may not be sufficient. Tax planning is imperative to ensure that your estimated tax liability is accurate and to avoid any penalties that may be imposed if your quarterly estimated tax liability is not accurate. 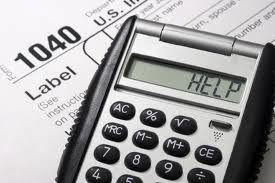 Furthermore, tax planning is necessary to give you peace of mind come April 2014. We will be able to take into account your family’s financial situation, the new five dimensional tax system, and any tax planning strategies to provide you an up-to-date 2013 expected tax liability. Lastly, a plan needs to be put in to place concerning your state tax liability. Depending on your family’s financial situation and when you pay your state taxes, we may be able to reduce your federal tax payable, including the AMT. An opportunity that should be noted is accelerating income into 2013 if you expect to be in a lower tax bracket in 2013 than in 2014 and later years. Perhaps the best way to accelerate ordinary income into 2013 and reduce income in later, higher tax bracket years would be to convert a traditional IRA to a Roth IRA in 2013, if a conversion otherwise makes sense. Ordinary income could also be accelerated by selling bonds with accrued interest in 2013 or selling and repurchasing bonds trading at a premium. Finally, taxpayers might consider exercising non-qualified stock options in 2013. Taxpayers with the opposite situation—higher ordinary income in 2013 than in 2014 and later years—might wish to defer income into 2014. Many of the same strategies listed above for reducing MAGI and/or NII may also be used to defer income. Similarly, capital gains could be harvested in 2013 if the taxpayer is in a lower tax bracket in 2013 than in 2014 and later years. This is especially true if the taxpayer has long-term capital gains and is in the 10% or 15% ordinary income tax brackets in 2013, as the long-term capital gains will be taxed at 0%. Moreover, if the taxpayer has gains in 2013, losses could be harvested to offset those gains. If you would like some assistance in modeling scenarios and developing projections to help determine which strategies are right for you, please don’t hesitate to call any of our Rollins & Associates tax professionals at 404-892-7967 or email us at mail@rollinsfinancial.com to schedule an appointment to begin discussing your options now.